First of all I want to thank Brent Wood at National Insitute of Water & Atmospheric Research (NIWA) for inviting me to their office after writing my first blog post about seafloor mapping in New Zealand. Luckily I happened to be in Wellington where they are located, the best city in New Zealand (see photos below)! I was also fortunate to meet Kevin Mackay, the Marine Database Manager who’s responsible for the bathymetry dataset I’ve been using to create this map. You’ll be surprised about the amount of work and data needed to create a bathymetry dataset for such a large and hidden area of our planet. 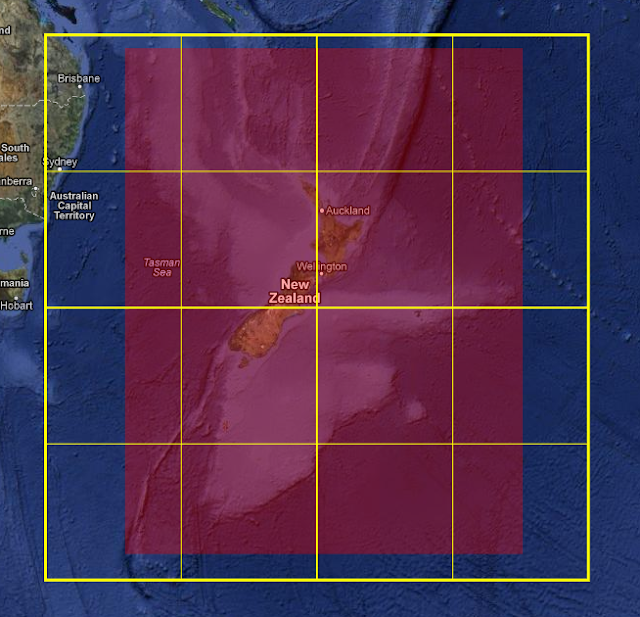 This mapping has been beneficial to New Zealand, as they have been able to claim rights to 1.7 million square kilometers of extended continental seabed, an area about six times New Zealand’s total land area. Includes notably missing island groups like the Chathams. It was nice meeting you, I would definately like to try some more IPAs if I'm passing by Auckland again! I was looking at the 1:50,000 dataset, but the large scale data didn't fit my small scale map. Do you know if the same dataset is available at 1:500,000 scale? I couldn't find island polygons for lower resolutions at the LINZ Data Portal, so the one I'm using is converted from a line dataset using QGIS. There are about a 1,000 people who live there, and they're reasonably sized islands (a little smaller than Steward Island to the south). The Auckland Islands further south are significant too, but again, they're commonly ignored and uninhabited. There is error in table - map size sould be 512x512 instead 512x256.